Summer is typically when Hollywood brings out the big guns—space aliens, shootouts, explosions, careening cars, rambunctious comedies. But here’s a captivating little romantic charmer that floats along as easily as a summer love song. Maybe that’s because it all revolves around music. 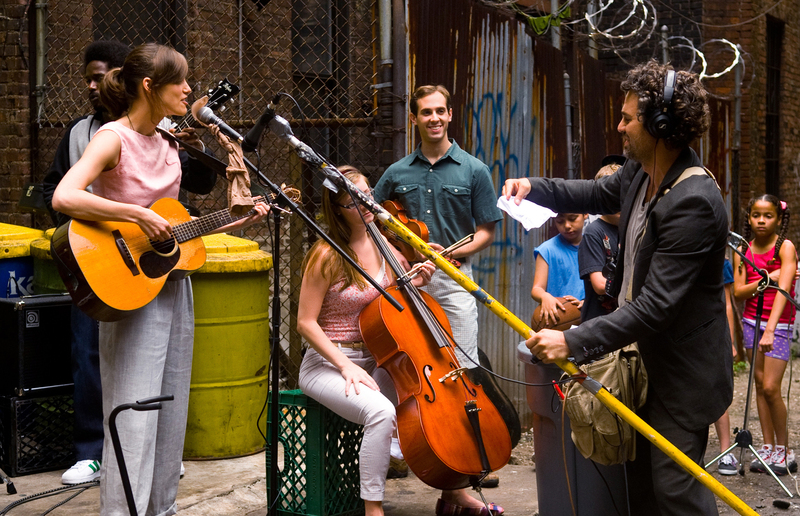 When a bottomed-out record man (Mark Ruffalo) meets a down-in-the-dumps singer-songwriter (Keira Knightley) recovering from a devastating breakup, it turns both of their bruised lives around. Sure, it’s a bit of a cliché, but Ruffalo and Knightley are immensely likeable—and believable. Knightley, the British actress better know for her Pirates of the Caribbean roles than for anything that requires crooning, shows that she can indeed more than capably carry a tune. 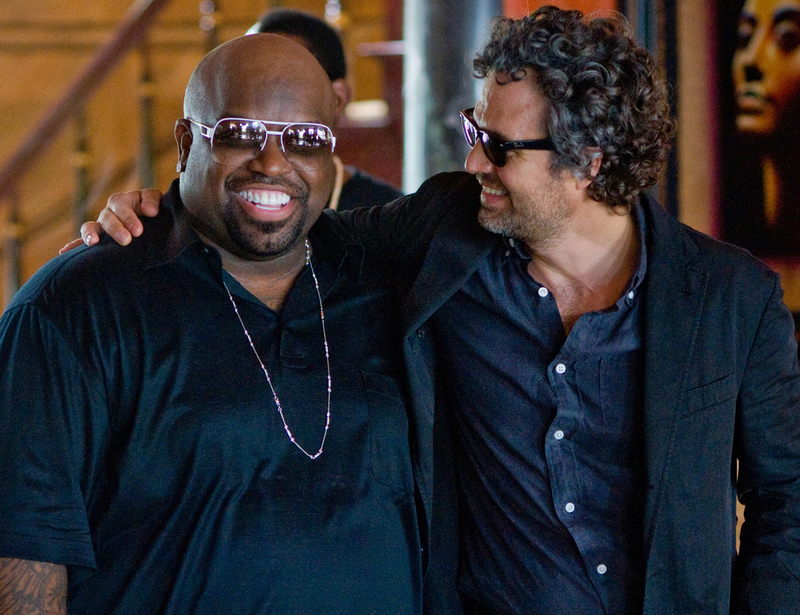 Ruffalo plays Dan, a scuffed-up New York producer who’s just been canned from the record label he co-founded back in his glory days. “We need vision, not gimmicks!” he fumes. Knightley is Greta, the guitar-playing girlfriend of a fast-rising pop star (real-life pop-rock star Adam Levine, lead singer of the band Maroon 5, making his movie debut), “marooned” herself in New York when she finds out—by deciphering the lyrics of his latest song—that he’s been cheating on her. The audaciously creative musical project they agree to do together—recording outside, here, there and everywhere, in various New York locations—brings them together, although not exactly to the destination you might think they’re headed. Ceelo Green plays a version of himself as a music mogul who owes Dan for his success, and rapper Mos Def (Yasiin Bey) dons a shirt and tie as a record exec. Catherine Keener has some very natural moments, never overplaying, as Dan’s ex-wife. As their provocatively (under)-dressed teenage daughter, Hailee Steinfeld, 17, gets to play a much more contemporary character than the one that brought her into the spotlight in the Coen Brothers’ 2010 remake of True Grit. The elements of the story interlace in delightful, heartwarming, human ways, all led by the music. 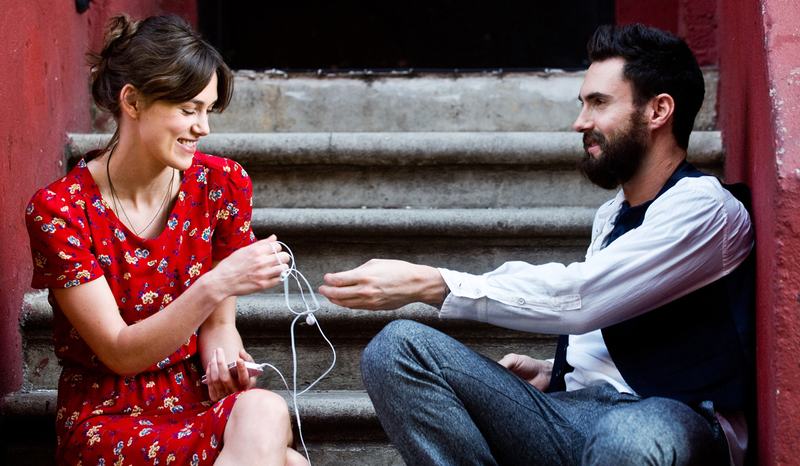 This is a music-lover’s movie, no doubt about it, from the well-crafted original songs written for Knightley and Levine’s characters, to the numerous scenes involving the music business, songwriting and recording, and discussions about artistry, integrity, the creative process, and the potent emotional pathway that leads from the ears to the heart. A particularly lovely sequence has Dan and Greta sharing each other’s favorite songs on earphones as they traverse New York. As they listen to Sinatra, Stevie Wonder and “As Time Goes By” from Casablanca, watching a parade of Manhattan nightlife, Dan remarks how music makes moments memorable, like little “pearls on a string” of otherwise ordinary experiences. Begin Again won’t make the list of this year’s big, boomy blockbusters. But it’s well worth seeking out if you’re looking for a cool little pearl to savor some sweet, enchanted evening in the middle of the summer heat.